When an ionic compound dissolves, it separates into its constituent ions. Each of these ions becomes surrounded by solvent molecules, a process called solvation. Consequently, an ionic compound contributes more particles to a solution than does a molecular compound, which does not dissociate in this way. Osmolarity is useful for determining osmotic pressure. 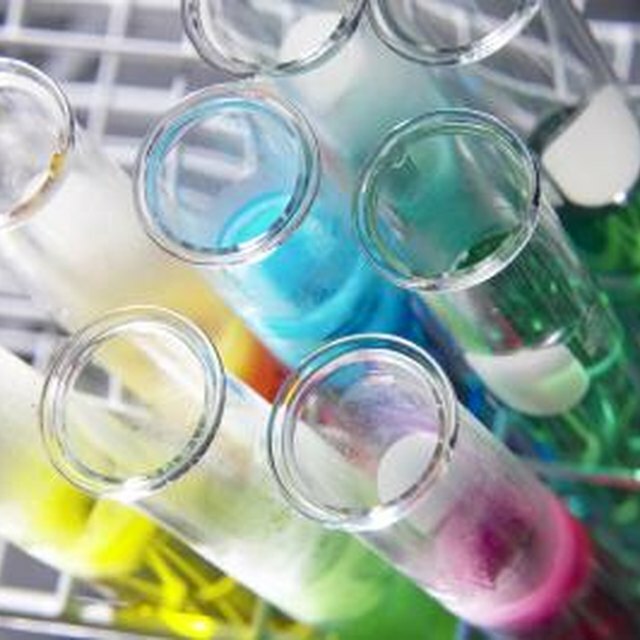 Chemists usually describe concentration in terms of molarity, where a mole is 6.022 x 10^23 particles, ions or molecules, and a one molar solution has one mole of solute per liter of solution. A one molar solution of NaCl would contain one mole of NaCl formula units. Since the NaCl dissociates into Na+ and Cl- ions in the water, however, the solution really contains two moles of ions: one mole of Na+ ions and one mole of Cl- ions. To distinguish this measurement from molarity, chemists refer to it as osmolarity; a one molar solution of salt is two osmolar in terms of ion concentration. The most important factor in determining osmolarity is the molarity of the solution -- the more moles of solute, the more osmoles of ions are present. Another important factor, however, is the number of ions into which the compound dissociates. NaCl dissociates into two ions, but calcium chloride (CaCl2) dissociates into three: one calcium ion and two chloride ions. Consequently, all else being equal, a solution of calcium chloride will have a higher osmolarity than a solution of sodium chloride. The third and final factor that affects osmolarity is the deviation from ideality. In theory, all ionic compounds should dissociate completely. In actuality, however, a little of the compound remains undissociated. Most sodium chloride splits up into sodium and chloride ions in water, but a small fraction remains bound together as NaCl. The amount of undissociated compound increases as the concentration of the compound increases, so this factor can become a more significant problem at higher concentrations. For low concentrations of solute, the deviation from ideality is negligible. Osmolarity is important because it determines osmotic pressure. If a solution is separated from another solution of different concentration by a semipermeable membrane, and if the semipermeable membrane will allow water molecules but not ions to pass through it, the water will diffuse through the membrane in the direction of increasing concentration. This process is called osmosis. The membranes of cells in your body act as semipermeable membranes because water can cross them but ions cannot. 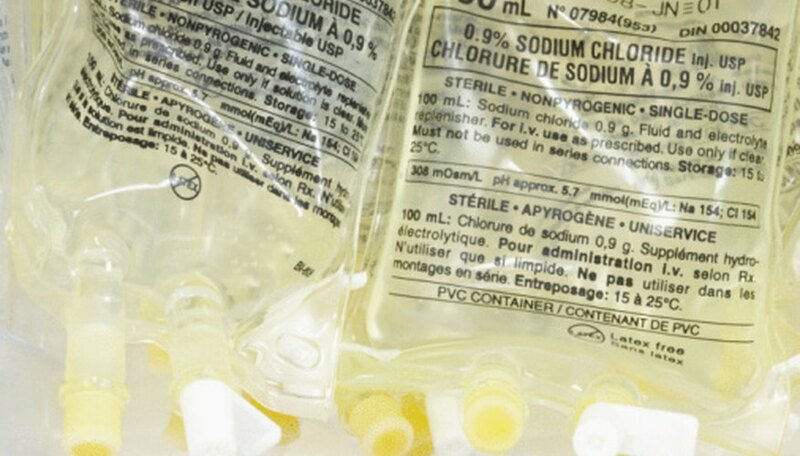 That is why doctors use saline solution for IV infusion and not pure water; if they used pure water, the osmolarity of your blood would decrease, causing cells like red blood cells to take up water and burst. Brennan, John. "What Affects the Osmolarity of a Solution?" Sciencing, https://sciencing.com/affects-osmolarity-solution-8240272.html. 25 April 2017.